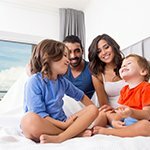 Here at Denver Window Film, our team of local window film experts have been in the window film industry since 2008. Our installers are highly experienced in both residential and commercial applications, resulting in thousands of happy clients across the Denver area. 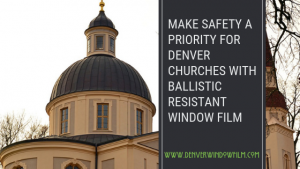 Denver Window Film is proud to be the industry leader in premium window film and window tinting. Our in-depth experience, ever-growing product knowledge, and passion regarding window film and its extreme effectiveness ensure that we’ll find you the perfect investment for your property. We specialize in safety and security, energy efficiency, privacy, decorative, glare reduction, daylight redirecting, UV protection, and much more. When it comes to saving money on your energy costs, there is no other investment that can show an ROI as quickly as window film. With Sun Control Window Film from 3M, you can save money on your monthly energy bill while preventing permanent damage to your floors, furniture, and art. Most importantly, Sun Control Window Film can help prevent the advent of skin disease caused by overexposure to harmful UVB rays. Energy efficient window film maintains consistent temperatures all year-round while eliminating hot/cold spots, lowering HVAC consumption, and improving overall comfort within your home or business. If your office or home could use a little more privacy, installing Decorative Window Film delivers an easy and economical solution. 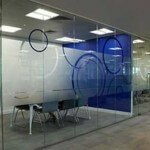 Window film can also be designed using your company logo or decorative elements that will help you promote your brand. Decorative window film is also the perfect addition for any area of your home that could benefit from a little more privacy. Exterior privacy tinting is also available for homes or offices located within close proximity to each other or are on the first floor in clear street view. Protecting your home or business is always a high priority. 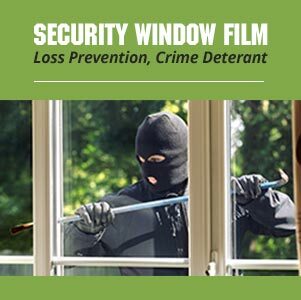 Security Window Film is an effective solution to window breakage due to impact for any home or commercial space. 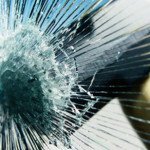 Whether you live in an area where crime is common, own a business on a busy city street, or are concerned about broken glass around small children or pets, security window film helps protect what matters most. The latest innovation from 3M is here. Daylight Redirecting Window Film is a revolutionary window film that alters the direction of sunlight penetrating windows and directs it up towards the ceiling. The effect is a beautifully, naturally illuminated space that is free of glare and hot, direct sunlight. Our very favorite product to work with is the Ultra Prestige series window film from 3M. The Ultra Prestige series combines all the best components of our Sun Control Window Film and our Safety and Security Window film to create a sophisticated home or business protection system with unmatched superiority and strength. The Ultra Prestige series is a family of window films that are available in both tinted and clear varieties. While both varieties of film act to minimize glare by reducing the visible light that is reflected on both the interior and exterior surfaces of the glass upon which it is placed, tinted ultra prestige film is more effective in reducing this reflectivity coefficient. The tinted film also transmits up to half as much of the visible light passing through the windows as the clear film. This serves to soften natural light inside the space while making the space more private by majorly reducing the light projected from the interior to the outside. Best of all, both the clear and tinted varieties within the Ultra Prestige Series are the first window films to be completely non-metallic based. This means that unlike other window film products, these films last much longer, are far less susceptible to corrosion caused by wind and precipitation, and are remarkably flexible. Reduces excess heat and seriously minimizes glare caused by direct sunlight. Window shards are held together on impact, eliminating the potential for injuries caused by stray shards after an impact of any kind, from a mass explosion to a stray soccer ball. This can be especially useful in a home with children and pets. 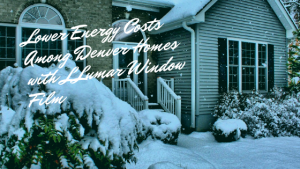 Denver homes experience rapid climate change and weather extremes, making it vital to find energy efficient solutions that optimizes your home’s comfort. 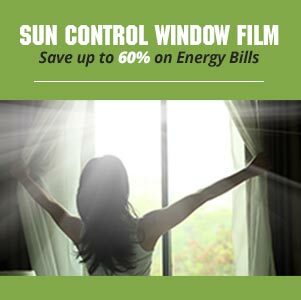 In addition to energy efficiency solutions, there are many window film applications that promote various benefits that range from improving family health to heightening curb appeal. Whether you’re looking to reduce glare in your new construction home in Stapleton or improve energy efficiency in your Virginia Vale ranch-style house, we’ve got you covered. Energy Efficiency: Homeowners can save up to 30% on energy costs during summer months and around 10%-15% during winter months. Save drastically while enjoying comfortable temperatures throughout your home. 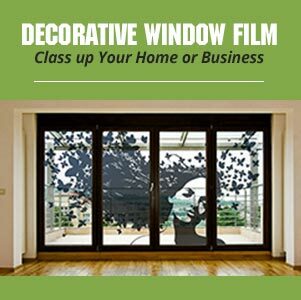 Decorative: Decorative film mimics the appearance of frosted or etched glass providing a cost-effective solution for homeowners looking to elevate their existing space. Privacy: Privacy film is perfect for homes and condos that are looking for better seclusion. Block unwanted views from onlookers and nosy neighbors while modernizing the exterior of your home. Glare Reduction: Glare can really put a damper on home movie nights and decrease productivity for those who work from home. Glare reduction window film alleviates the squinting and headaches caused from glare, improving home comfort while maintaining high light transmissions. UV Protection: Defend your loved ones and valuables from the harsh Colorado sun. 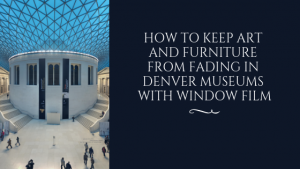 UV exposure is significant in Denver due to our high elevation– prevent fading, discoloration, and severe health concerns with UV blocking window film. Safety and Security: As the population increases, so does our property crime and violent crime rates. Protecting your home from break-ins, burglaries, natural disasters, and other high impact events can be achieved with safety and security film. 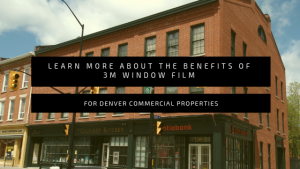 Denver businesses and commercial properties have so many opportunities to improve brand visibility, heighten buyer experience, attract new clients, and much more with window film. 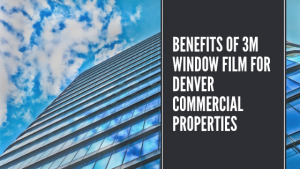 From significant saving opportunities from excellent ROIs to unique visual marketing tools, commercial window film solutions promote significant benefits for Denver businesses and offices. 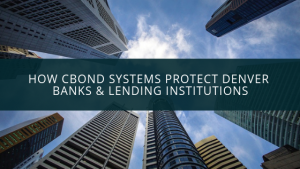 Whether you’re looking to improve the safety and security of your RiNo District brewery or enhance aesthetics and energy efficiency in your Denver Tech Center office building, we’ve got you covered. Energy Efficiency: Finding ways to lower operational running costs is always top priority for Denver business owners. Energy efficient window film is a great ROI and can help your building get LEED certified. Decorative: Exterior building wraps and interior decorative films are available for effective visual marketing. These highly customizable films are suitable for both short-term and long-term projects. Privacy: Exterior privacy tints are great for office buildings that require better privacy. 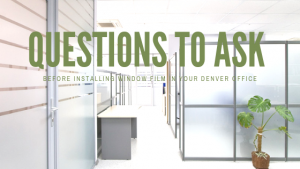 From interior privacy films for conference rooms to cloaking films that obscure LED screens, we’ve got all the commercial privacy solutions for your Denver office. 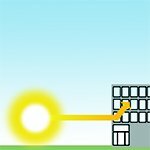 Glare Reduction: Improve employee productivity and comfort with glare reduction window film. Stop your employees from squinting and avoid severe headaches. 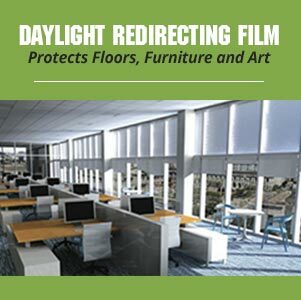 Daylight Redirecting: Daylight redirecting window film has been shown to improve employee productivity, decrease patient recovery time, improve student testing, decrease absentee rates, all in addition to lowering lighting costs. UV Protection: UV rays are extremely harmful to interior valuables, equipment, display merchandise, art, and building occupants. Defend your staff, guests, clients, and investments from irreversible sun damage. Safety and Security: Commercial properties can house a large amount of guests and staff making it vital to protect them from any potential threats. Anti-Graffiti: Anti-graffiti surface films are cost-effective solutions available for any smooth, nonporous surface that’s prone to vandalism. Present the best impression to guests while lowering repair costs. Exterior Refinishing: Our renowned exterior refinishing services are a perfect alternative to window replacement for Denver buildings. Exterior refinishing utilizes window film and other proprietary techniques that improve aesthetics and functionality of your commercial property’s windows.